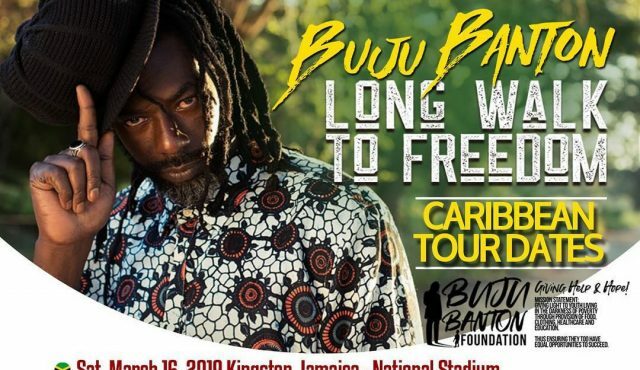 Buju Banton’s Caribbean Long Walk to Freedom Concert (LWTF) tour dates have been revealed. Organizers published the tour dates on Instagram Monday, adding that more dates will be added soon. Buju Banton is set to kick off his highly anticipated Long Walk To Freedom Tour in Jamaica on March 16, 2019, at the National Stadium. Reggae star Chronixx and veteran Cocoa Tea have been included in the official line up for the highly anticipated concert in Kingston. Also slated to appear are Romain Virgo, Etana, LUST, Delly Ranx Agent Sasco, Ghost and Banton’s son Jahzeil.